Being a leader in your industry on social media means establishing a reputation your competitors can’t compete with, an authority they can’t beat and becoming the go-to source for people in your niche. All of this can be done but it demands hard work, planning, and a killer social media strategyhttps://www.veloceinternational.com/general-social-media/how-to-strengthen-your-social-media-strategy/. 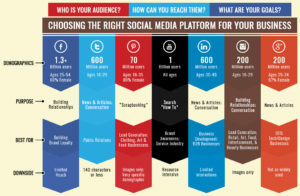 The first step to becoming a leader in your industry on social medias by choosing your main platforms. As you might know, all social media platforms have different demographics, and you want to choose only those that are most likely to generate the best results for you. In other words, only the platforms that have the most suitable demographics based on your brand’s niche and target audience. Unless you have huge resources to stay active on all social media platforms, it’s best to focus on a few where your target audience is to be reached. Otherwise, there’s a chance that you’ll be spreading your efforts across the platforms, creating “meh” results on all of them – instead of becoming a thought leader on a few. While it can be good to share content on several platforms, especially since cross-posting has become extremely simple, you don’t want to do it at the expense of reaching your true target audience. One of the biggest struggles for brands on social media is finding content to share with their audience. Because of the lack of content to post (or ideas for content to create), some brands begin to post content just for the sake of posting and to keep their social media pages alive – without any thoughts behind of what they are actually posting. Unfortunately, doing so will most likely do the opposite – slowly strangle your social media pages to death. While the issue of not having any relevant content to post might be true, it doesn’t have to be that way. If you don’t have content – create it! All social media success and ultimately becoming a thought leader in your industry depends on one thing and one thing only. Quality content – not quantity. The article “Implement Appealing Visual Content on Social Media With These Smart Tactics” describes very well how you can create great content that your audience responds well to. It also brings up what you should think about when creating it. Just make sure that the subjects of the content you’re putting out interests your audience. If your brand is producing tennis balls, why not tell them how much time it takes to make one tennis ball, talk about recent tennis events or maybe write an article where you compare tennis balls! If your audience is into tennis, knowing which ball is the best might be important for them. Plus, with the knowledge you’re sharing, you’re bringing value to your followers – making them want to come back for more. Writing articles and blog posts then linking them on your social media is a great way to show your audience that you are well-educated in your industry because ultimately, this will help you build authority in your niche, which builds trust, which is the foundation of becoming a leader in your industry. Bonus tip: Think about what you want to know about your industry, then answer those questions in articles that you share on social media. Or, you can simply make a post directly, sharing your knowledge in the caption or in an interesting infographic. One very effective way of building trust among your target audience is by teaming up with influencers. As social media influencers have a ton of authority and trust from their followers, their followers tend to value the words of the influencer in a way that a brand will never be able to recreate. However, piggybacking an influencer lets you gain instant trust and credibility as everyone tends to trust recommendations from their peers. In this case, influencers. Find influencers in your niche that speaks the same language as you and have a follow base that is also your brand’s target audience, then get in touch with them and ask if they would like to partner up with your brand. Here, the relevance of the influencer is extremely important. In fact, probably the most important aspect of creating a successful influencer marketing campaign. The reason to that is because highly targeted content have a better chance of engaging with prospects, and this is something that brands should put a lot of importance into. 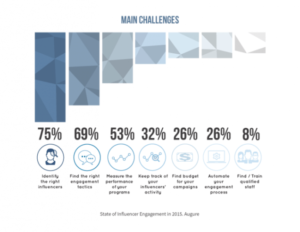 In fact, a study by Augure found that 75% of marketers consider finding suitable influencers as the single biggest challenge of influencer marketing. Veloce Network is a tool that is extremely helpful, if not essential for brands when searching for influencers to partner up with. Veloce Network is a social media influencer directory that has gathered thousands of the leading influencers in one place, so you’ll be able to find them easily. In seconds, to be more precise. Simply filter influencers based on your brand’s preferred criteria such as platform, niche, followers, gender, and location. Then click search. Now, you’ll be presented with a list of the most suitable influencers for you – so you can run an influencer marketing campaign that is as laser targeted as it can be. Showing your knowledge in front of your audience in real-time is a very effective way of gaining trust. A lot of social media platforms offer live streaming so simply choose the one where you have the most followers on – or the platforms where you have the most target followers on. If those two are the same thing, then you’ve done a great job building your audience with targeted followers. When starting a live video, you want to get as many people watching as possible, so inform your audience about the Q&A session before you launch it. After that, simply ask any questions your audience might have concerning your industry. Every question you answer is increased trust. Not only from the people who get their questions answered but also from the people who are watching and realizing the immense knowledge you hold regarding your niche and business area. The great thing here is that you show you know the answers to their questions without having to look the answers up. Apart from the fact that live video is a great way of building trust, live video is also an excellent tool to engage with your audience and get them to engage with you. By valuing your followers and taking the time to answer their questions, a respect and loyalty in you and your brand will be established, helping you reach your goal of becoming a thought leader in your industry even quicker. Don’t forget to share this article with your friends if you found it helpful!